Autumn Makeup featuring 3 trending looks. 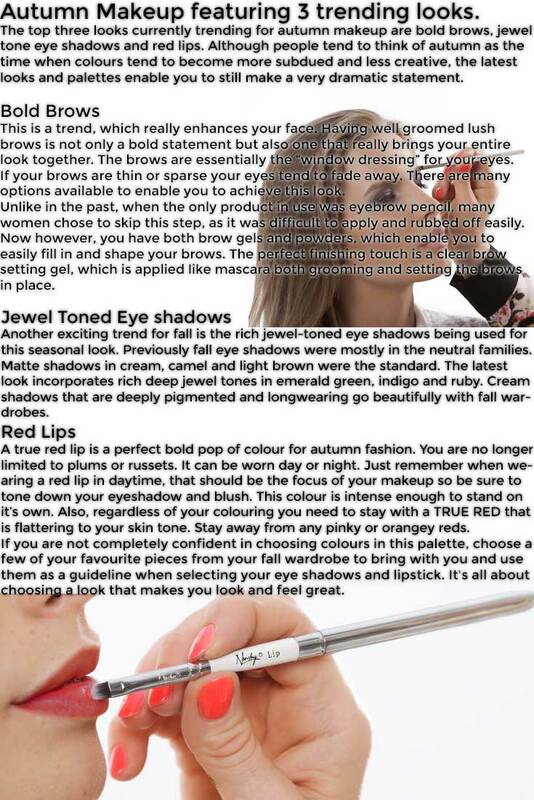 The top three looks currently trending for autumn makeup are bold brows, jewel tone eye shadows and red lips. Although people tend to think of autumn as the time when colours tend to become more subdued and less creative, the latest looks and palettes enable you to still make a very dramatic statement. This is a trend, which really enhances your face. Having well groomed lush brows is not only a bold statement but also one that really brings your entire look together. The brows are essentially the “window dressing” for your eyes. If your brows are thin or sparse your eyes tend to fade away. There are many options available to enable you to achieve this look. Unlike in the past, when the only product in use was eyebrow pencil, many women chose to skip this step, as it was difficult to apply and rubbed off easily. Now however, you have both brow gels and powders, which enable you to easily fill in and shape your brows. The perfect finishing touch is a clear brow setting gel, which is applied like mascara both grooming and setting the brows in place. 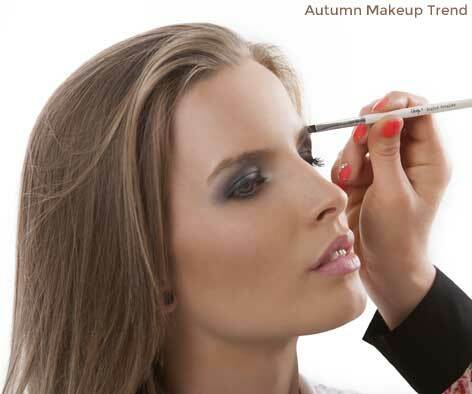 Another exciting trend for fall is the rich jewel-toned eye shadows being used for this seasonal look. Previously fall eye shadows were mostly in the neutral families. Matte shadows in cream, camel and light brown were the standard. The latest look incorporates rich deep jewel tones in emerald green, indigo and ruby. Cream shadows that are deeply pigmented and longwearing go beautifully with fall wardrobes. 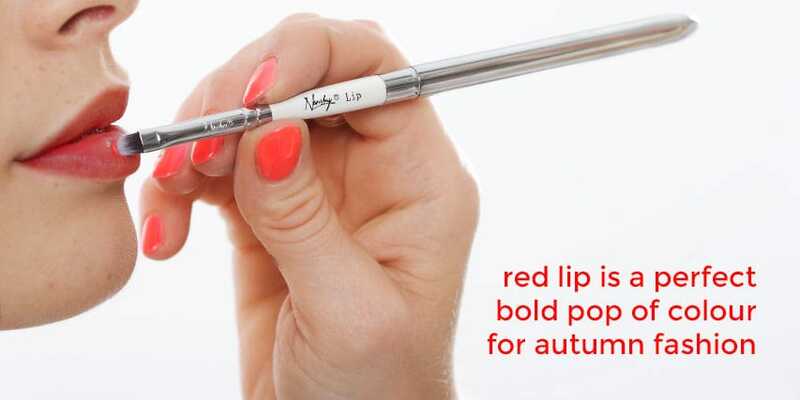 A true red lip is a perfect bold pop of colour for autumn fashion. You are no longer limited to plums or russets. It can be worn day or night. Just remember when wearing a red lip in daytime, that should be the focus of your makeup so be sure to tone down your eyeshadow and blush. This colour is intense enough to stand on it’s own. Also, regardless of your colouring you need to stay with a TRUE RED that is flattering to your skin tone. Stay away from any pinky or orangey reds. If you are not completely confident in choosing colours in this palette, choose a few of your favourite pieces from your fall wardrobe to bring with you and use them as a guideline when selecting your eye shadows and lipstick. It’s all about choosing a look that makes you look and feel great.